Automatic Compactor For Bituminous Mixes Description: SE-Test India’s is the apparent name as manufacturers and suppliers of testing equipment or instrument. SE-Test India’s instrument Automatic Compactor for Bituminous Mixes apparatus (model no. SET-1317) conforms to the BS 598-107 industry standards. This instrument is used to speed up the process for preparing the specimens with much ease and accuracy as it is fully automatic. It automatically compacts the specimens or sample and stops after the preset number of blows are completed on the blow counter. With Automatic Compactor for Bituminous Mixes, you can achieve the even degree and uniformity compaction across samples for reliable testing. It ensures the rugged construction to withstand hard work by eliminating the laborious process of manual compaction. The 4.5 kg weight can be lifted with a driven mechanism and dropped from the correct height of 457 mm. Supplied with rammer foot which facilitates the preheating and is easily removable. A compaction pedestal along with specimen holder is mounted to the base. An automatic blow counter which enables the blows in test and automatically stopped once the machine completes the task. Voltage: 230 V A.C. of 50 Hz with a single phase supply. 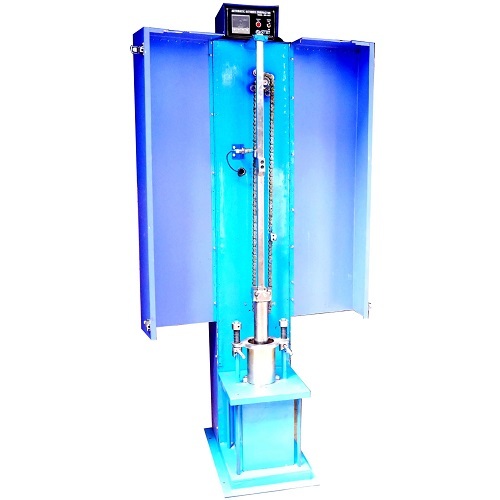 Note: Can also be made available for modified compaction test for 10.2 Kg. We adopt the principles of the creditable integrity to demonstrate our commitment to the client’s success. In today’s competitive market, particularly in the field of engineering equipments, SE-Test Lab is an honest and committed product supplier in the industry. At SE-Test Lab, an effective team is committed to provide the best of products and services to meet all end-objectives of our clients. The team uses available resources, and every member works together as a single unit to deliver the best equipments for clients. We always maintain an utmost level of quality in offering products or services, by means of providing minute attention to every stage of production, customization and delivery. By focusing on the quality management, we make sure to fulfill the quality requirements of clients. Copyright © 2017-18 SE-Test Lab Instruments (I) Pvt. Ltd.